Get the power of online backup for unlimited computers and the amazing 1TB Avandrive cloud storage space. Synchronize your files between your PCs and Macs, access them from anywhere at any time and share them with friends and family. Experience the extra features on your HomePlus special package. Avandrive provides anytime, anywhere access to your files from any device. You can view and edit files on your Avandrive account from any web browser on your computer, smartphone, tablet and even your smart TV. With Avandrive you really can access all of your files, all the time, wherever you are. Instead of emailing limited file attachments Avandrive now enables you to share large documents, photos and media directly from your account. Using our simple system, you are one click away from sharing folders with friends and family. Sharing files can be accessed immediately from anyone – no registration required. 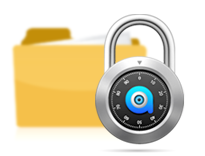 Files are stored and protected on Avandrive servers from any harm. Your files are automatically encrypted using military grade AES-256 encryption while Avandrive's backup works automatically in the background saving your data on the cloud. You can restore your data at any time with one click. Avandrive's systems and software are designed to be super-fast. We do not limit your upload and download speeds and our optimized software is so efficient you will not even notice is there. For only €X more per month, upgrade your storage plan from 512GB to 1TB. Easy. "Incredible features! I can backup all my computers and sync my files between all my PCs and my iPad. I got all Avandrive's features in one rich package for a very reasonable price." Experience the freedom of being in control of your data! Avandrive storage is your very own internet cloud drive which makes it easy, efficient, and secure to store your data. Access, share and protect all types of digital information that you have in your computer, mobile phone or tablet. Clicking the Avandrive button on your application menu will take you straight to your account – no need to open up your browser. Avandrive provides anytime, anywhere access to your files from any device; so no matter where you are, or what device you're using, you're covered. Simply log in to your Avandrive account through any device to store, share or edit your files online. No more emailing large attachments! Avandrive gives you the option to share unlimited files at once between friends and family. Just choose the files you wish to share and Avandrive will create a unique link and send it to your contacts by email. Your friends will then be able to view your selected files instantly. You can stream your media from your PC to any device, including your mobile phone, tablet or even your smart TV. Your complete entertainment collection will now follow you anywhere. Watch your favorite movies and listen to your music wherever you are in real-time. 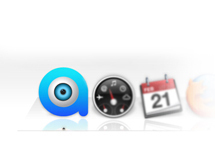 "Avandrive Storage works perfectly on my Mac, iPhone and iPad. 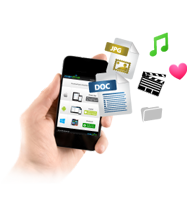 I can access and edit my documents online and at the same time my files are sync across all my devices. Plus, I get to share all my favorite music and movies with my friends."